After a warm, sunny and very dry month, the rain has arrived at last in Stephanie’s Kitchen Garden. 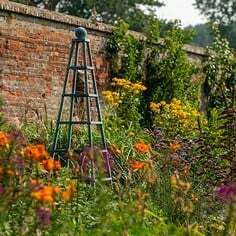 The warm weather has been enjoyed by plants and gardeners alike and brought the garden on in leaps and bounds, but the lack of rain at a crucial time in the growing calendar has led to copious watering at a busy time. The welcome rainfall will restock the waterbutts and give the irrigation and watering cans a rest for a while. 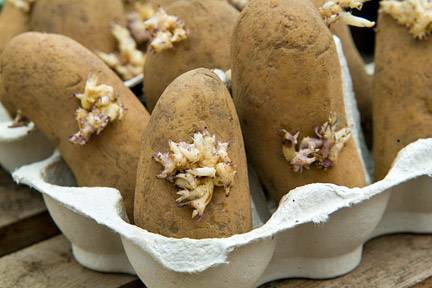 Our first job of the month in April was to plant out our potatoes. The seed potatoes had been chitting in trays for several weeks prior to planting and had formed lots of lovely healthy shoots. The ground had already been prepared by digging in well rotted manure and some home made compost. A scattering of poultry manure was added to the soil when the tubers were planted in neat rows to give them an extra boost. At the beginning of the month we were still experiencing cold weather, so we covered the crop with fleece to keep the soil warm. This was removed later on when the temperature soared. The big plant-out continued this month when our brussel sprouts and broccoli plants were planted into the vintage vegetable cage. Last year we added mycorrhizal fungi to the roots of our brassicas when we planted them and certainly noticed a big difference in the health and growth of the plants, so we will definitely be using this again this year. After planting we added cabbage collars to help protect against cabbage root fly. 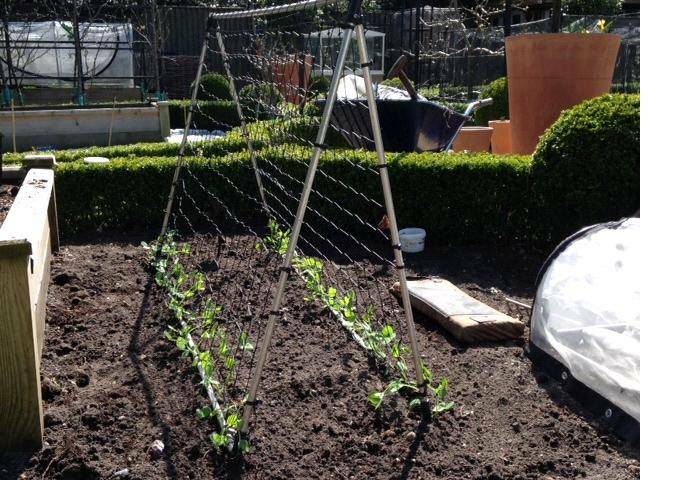 We’ve also planted kale into one of our allotment beds and covered it with butterfly netting to protect it from the ever present pests. Last year we made our first ever sowing of sea kale. 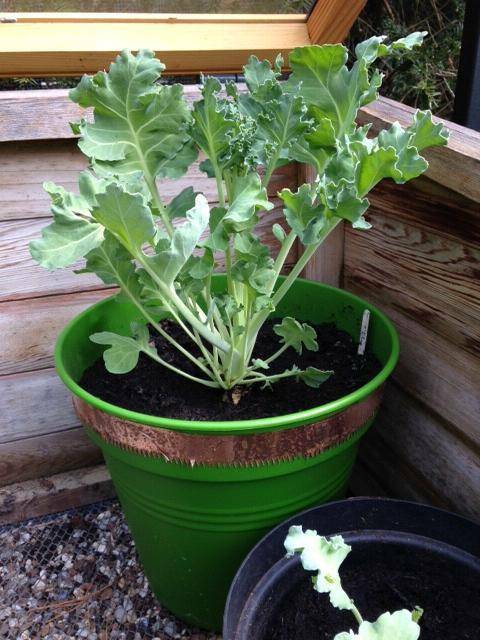 Sea kale is a tough plant that will happily grow in the more difficult areas of the garden where little else will grow. When the plants are three years old, they can be forced in the spring, much like rhubarb, to produce asparagus-like shoots. The flowers can be eaten like broccoli and the leaves taste like cabbage. 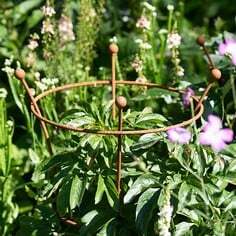 Now that our plants are a good size, we have planted them out into the garden in a spot that has proved somewhat inhospitable in the past. We’ll be keeping a close eye on them. It will be interesting to see how they get on. With all this planting out going on, and wall to wall dry sunny weather, this month we set up the timers on our irrigation outside in the Kitchen Garden. 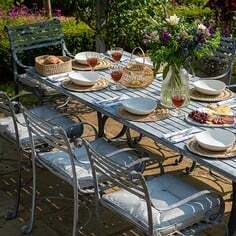 Until now, we have had a very dry spring here and the beds are drying out rapidly in the wind and sunshine. The timers have helped to ensure our crops are regularly watered. Now that the rain has arrived, we will turn them off until they are needed again. Of course, now that the weather has warmed up, the weeds have started to grow, so Jo has been out with the hoe to keep them at bay. April has been a very busy month inside the greenhouse. 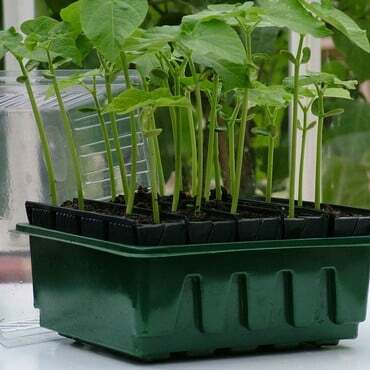 It has been constantly crammed with seed trays and pots packed with young plants and seedlings. My absolute favourite job of the gardening year is pricking out, so I have been a very happy gardener! Our tomato plants have been planted into giant pots and into plant halos in the greenhouse boarder. They have already started flowering, so we are hoping for an early crop this year. Peppers, cucumbers and aubergines have also been planted into their final pots and are jostling for space in a packed greenhouse. Our grafted plant collection arrived mid-way through the month and these are being grown on before taking their places with the others. 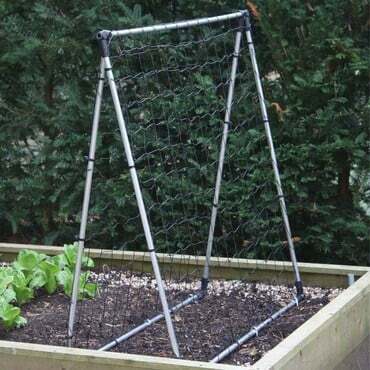 And of course, we have been sowing lots of seed in the greenhouse this month, including salads, basil, parsley, runner beans, French beans, sweetcorn, courgettes, spinach, kale, chard and rocket. Phew! April has seen the start of our regular feeding regime. 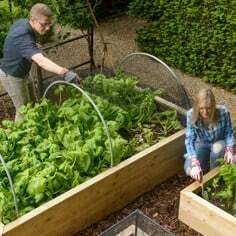 Up until now we have been feeding established crops and newly planted vegetables with fish, blood and bone or poultry manure. These need to be reapplied every six weeks during the growing season. Now that our tomatoes are in flower we have begun to feed them with liquid tomato food. This will be continued weekly throughout the season. We have also started spraying our espalier apples and pear tree with Epsom salts to ensure strong healthy foliage which will be more resistant to attacks from pests and diseases. The box hedging in the Kitchen Garden is looking lush and green, however elsewhere in the garden some plants are looking a little sad after the winter. They have all been treated to foliar feed of liquid seaweed and this will be repeated every two weeks. 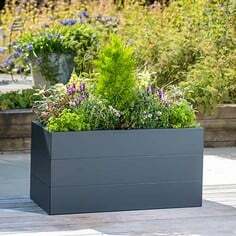 We have had the dreaded box blight attack some of our plants in the past so keeping the plants healthy and strong is of utmost important to try and prevent any further attack. The box hedging in the Kitchen Garden has so far (fingers very tightly crossed!) 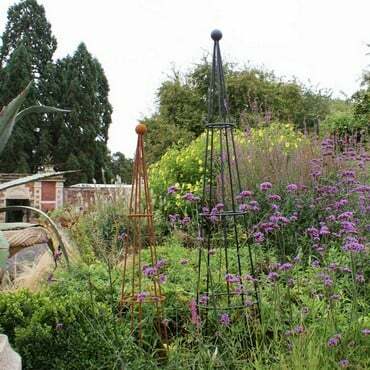 never been affected and we are always very careful not to use any hedge clippers or garden tools on it that have been used in other parts of the garden. We also keep a supply of alcohol wipes in the Potting Shed to disinfect secateurs and clippers after use. 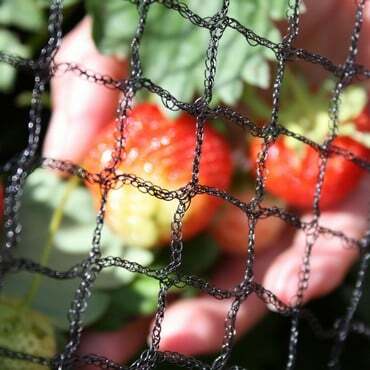 Besides growing healthy organic fruit and vegetables, the Kitchen Garden is also used for photography for our website and catalogue. 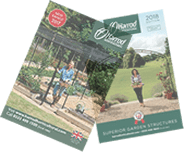 Throughout the year, and particularly through the main gardening season, we have frequent visits from the photographer to capture Harrod products in use. 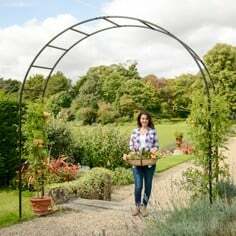 This month we had such a visit to take photos of our espalier apples trees and their new arch support. The trees are just bursting into blossom, which should hopefully provide some amazing shots. 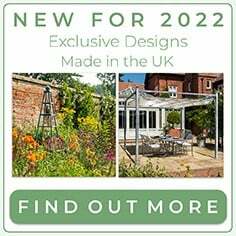 Look out for them in our next brochure or on our website. Finally, this month we have also been harvesting. 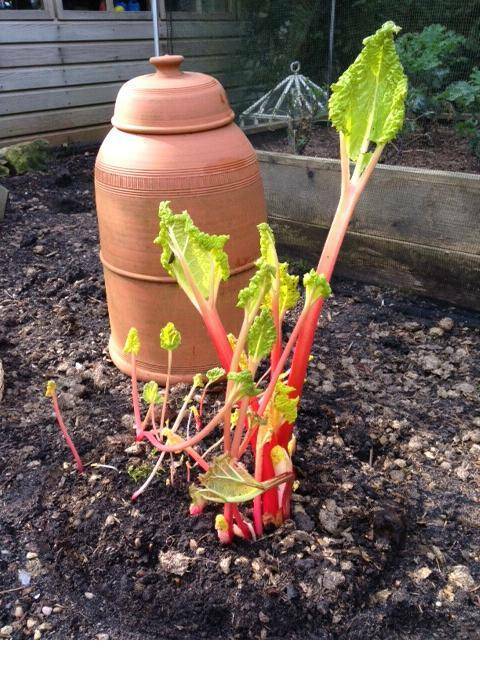 Our spinach and kale plants have been providing some lovely crops of healthy leaves, however the star of the show has been the forced rhubarb. The lovely tender pink stems look amazing and taste just as good! A just reward for all the hard work throughout the month. Continue weekly spraying fruit trees with Epsom salts. Plant out tomatoes into grow houses outside. Apply nemaslug to all beds.